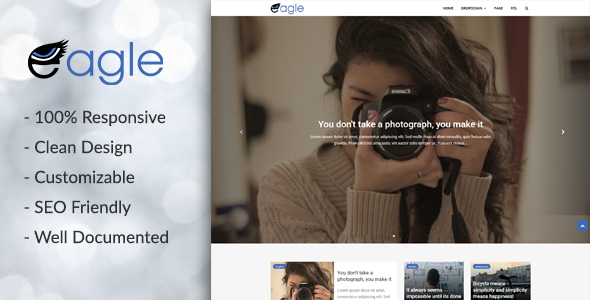 Eagle is a responsive Blogger template perfect for magazine and blogging websites. It’s unique, professional, easy to use, designed and coded with the best techniques. It’s very easy to use and you can customize every part of the template. We are ready to help you with any thing you need and answer all your question. You can contact us on Themeforst or on facebook.